Quality, helfpul service for businesses and individuals looking for solutions for their insurance needs. November is Long Term Care awareness month so we wanted to make sure you were aware of the benefits and necessity of this particular coverage. We will offer ideas and suggestions on how you can maximize your insurance coverage regularly here on the DeWitt Risk Management Blog. 1. 73% of people would have no idea how to respond if they received a phone call today notifying them that they had a family member who would require immediate long term care assistance. 2. 78% of people indicate they would find discussing long term care with a financial professional helpful, but only 16% of people have had the desired conversation. Where do you fall within the above statistics? Have you received that phone call yet? Have you considered your options if you were to receive such a call? Have you thought about discussing the matter with a financial professional? Have you actually broached the topic with your insurance broker? Stop waiting around for the situation to come at you when you’re unprepared. Take action now by putting a plan in place. The rising costs of long term care make having a plan more important than ever before. In many instances, it is the difference between financial ruin and continued financial stability. If you haven’t yet considered your retirement needs, now is the time. If you have considered your retirement needs, but either weren’t aware of Long Term Care coverages or felt it was unnecessary, reconsider the facts. 70% of Americans who reach age 65 will eventually need long term care, but there are very few who are prepared to pay long term care costs. Families bear a huge part of the burden; providing approximately $450 billion in unpaid caregiving and $63 billion in out of pocket costs. Experts indicate that while it is never easy to think about these particular issues, both the need and the cost for long term care continues to rise. Planning ahead is critical to ensure that you get the care you need when the time arises. Advancements in medical science and technology have increased the average American’s life expectancy drastically. According to experts in the industry, 10,000 baby boomers will turn 65 every single day over the next 20 years. As the average American continues to live longer, millions will receive or provide long term care at one point or another during their life. Most assume that when the need for long term care arises, they will be able to rely on the government to foot the bill or at least provide for a substantial portion of their needs. Many others assume that they can rely on their immediate family members to provide needed care of pay for the care when necessary. At the same time, people in general are now more afraid of burdening their family financially than they are of dying (according to a 2010 Harris Interactive survey from Age Wave). With all this concern and worry running rampant amongst the general populace, it might be safe to assume that most have come up with a solution – they have a plan. This is where the issue gets interesting. Most don’t have a real plan. They have assumptions and guesses; which in most cases aren’t actually going to end up covering their long term care needs as they might expect. The best recommendation from experts on the topic is to have a written plan and to share that written plan with loved ones. Actually coming up with a plan for your own long term care definitely comes across as a formidable task, but it can be done and doing so will greatly alleviate a lot of worry that you don’t even realize you have regarding the issue. How you want to receive care. Where you want to receive care. Who you want to provide the care. Understand that the cost of care is changing and when we say it’s changing, we mean that it’s only getting more expensive. Begin by evaluating the cost of care where you intend on living. (For those interested in helpful tools accessible by smartphone, consider free mobile apps from Genworth available for iPhone and iPad). It’s also important to consider that planning for long term care overlaps with retirement planning. Cost of care is increasing. The annual median rate for a private room in a nursing home at $83,950. When these costs are considered it becomes obvious how easily your very well thought out retirement plan could be thrown off track or even completely depleted in response to an unplanned long term care need that crops up in your golden years. It’s never too early to get started. It’s the rule of thumb for any savings or investment strategy and it applies just as easily to planning for long term care with appropriate protection. The younger you are when you purchase long term care insurance, the lower your costs will be in most situations. As such, the age at which people are purchasing long term care coverage has dropped notably over the last 2 decades. In response to these facts, long term care insurances have been evolving to meet the increased interest and growing need. Major providers are now emphasizing a more individualized approach which often allows consumers to increase or decrease coverages in specific areas according to their own needs, expectations and available budget. Long term care insurance can make a huge difference in the success of your overall retirement plan, and providers are there to help families manage what many see as one of life’s most daunting challenges. From insurance and public programs, private family support, self funding or even a combination of these, there are many options to consider as part of your retirement strategy. We all know that knowledge is power. Know your options. Know the facts. And take advantage of the tools at your disposal. 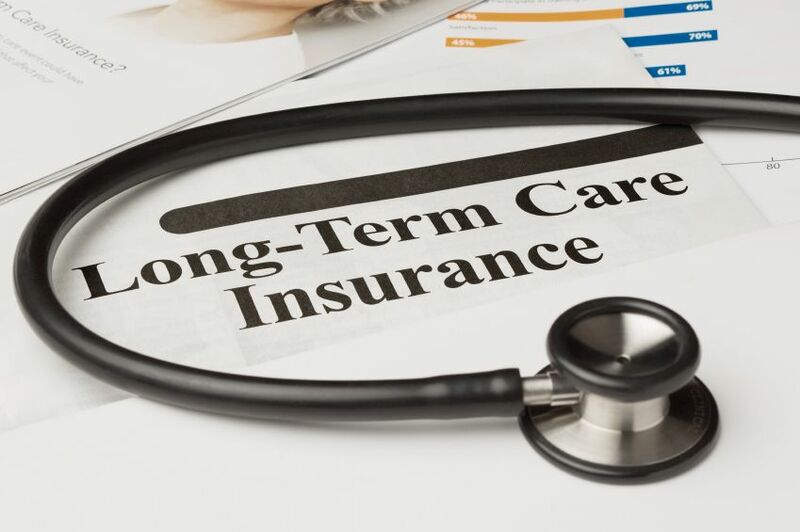 Call your broker here at DeWitt Risk Management today to discuss the long term care coverage options so you can make an informed decision and put together your own written plan. By appointment only. We often make appointments off site to accommodate employers looking for group benefits information. Aetna Individual Plans Aetna Individuals Plans: Compare Plans, Get Quotes, Apply Online! HealthNet Individual Plans HealthNet Individual Family Plan – Get a Quote! It’s Time to Take Advantage of Open Enrollment 2017! Should You Be Excited that It’s Time for Open Enrollment? Millennials Continue to Reject Obamacare In Favor of Tax Penalties? Do You Spend More on Fast Food than You Do On Life Insurance?